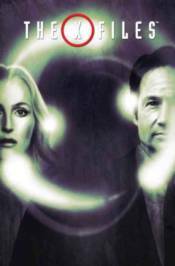 For years, FBI agents Fox Mulder and Dana Scully toiled in the X-Files Unit, a one-office division of the Bureau dealing with cases deemed unsolvable and related to unexplained phenomena. Eventually, both agents left the FBI and began new lives in peaceful anonymity. However, recent events prompted them to return to the Bureau and the X-Files. In 'Came Back Haunted,' a thwarted attack puts a community of refugees at risk, but when a connection to a recent mall shooting is found, Mulder and Scully must determine the cause of the violent outbreaks, why the government is covering it up, and just what the connection to old secrets they'd believed dead and buried really is. Collects issues #6-9.